We are understanding of your schedule and your priority for finding your new home. We make the search easy and fun. We provide you with attentive service and years of experience and expertise in the market and negotiations. We set you up on your own website and create a customized search for properties. You can save your favorite properties. You’ll be notified anytime there is a change to your properties and if there are new properties that match what you are looking for in a home. It also lets you see the location of the property, allows us to write notes to you about the property and allows you to write notes on each listing. We will preview homes, when possible, to minimize your time viewing inappropriate homes. We also make appointments to see homes at convenient times for you. We provide maximum information about homes, including specifics about location, schools, property values, taxes, builder information and investment potential. We will inform you of all pertinent information concerning your contract and will be continually available to you for questions throughout the contract period. We will assist you in negotiations and ensure compliance with disclosure laws and ordinances. We will provide you with contact information for lenders, inspectors, repair companies and utility companies. 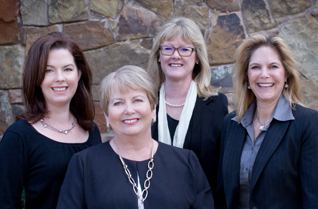 We will be your trusted real estate advisor long after you purchase your home. We view our working relationship as a partnership. When working with us, let us know what you want, even if you change your mind throughout the process of looking. You may want to narrow your search to a specific neighborhood or price range, or you may want to only see homes with a media room or a fireplace in the master bath. If it is out there, we will find it! If you see a home that you are interested in listed in the newspaper, For Sale By Owner or New Construction, let us know! We will call the agents, owners or builders and find out more information about the house and fill you in with the details. Be prepared to find your dream home. We strongly suggest that our buyers apply for a loan and obtain loan approval in the beginning stages of looking for a home. there are many benefits for being pre-approved such as: Looking at homes that fit within your price range saves you time and frustration. Since most homes are “contracted” on weekends, having a pre-approval letter will allow you to present an offer immediately, without waiting for banking hours. A Seller will take your offer more seriously, since they know that you qualify for their home. It may also give you an advantage if more than one offer is received on a property. Once your contract is accepted, events happen quickly towards closing. Your mortgage will proceed in a timely manner since you have already been pre-approved by the Lender. We have a preferred list of mortgage lenders who will be able to get you the information that you need. If you’re like most people, buying a home is the biggest investment you will ever make. So whether you’re buying a starter home, your dream home or an investment property, why not take advantage of our experience as a local market expert for Southlake, Colleyville & Grapevine to make the most informed decisions you can, every step of the way?